If you have a shattered or chipped windscreen and need prompt assistance to repair the damage to your vehicle, you can trust the team at National Windscreens to provide the mobile car window services you need in Black Town. We can also help locals in the surrounding areas of Marayong, Woodcroft, Doonside, Bungaribee, Arndell Park, Huntingwood, Prospect, Lalor Park and Seven Hills. In addition to standard vehicles, we can also provide mobile car window services for trucks, buses and other light commercial vehicles. Regardless of what type of vehicle you drive, you can rest assured our team can get you fixed up and back on the road in no time. There are countless reasons why you should call National Windscreens over other windshield repair and replacement companies in Black Town. We’ve been in the industry for more than 30 years, meaning we have what it takes to deliver excellent services at competitive rates − all while offering personalised customer service. With 100 fitting centres located across Australia and lifetime guarantees provided for all work we do, we pride ourselves on being a leading choice. We also offer 24 hour windscreen repair and replacement for emergency situations. 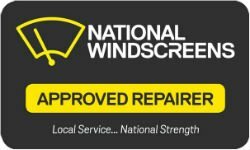 National Windscreens can provide the assistance you need when it comes to windscreen repair and windscreen replacement services in the Black Town area and surrounding regions such as Marayong, Woodcroft, Doonside, Bungaribee, Arndell Park, Huntingwood, Prospect, Lalor Park and Seven Hills. Learn how we can help you today by contacting us.